Keep fit and Eat Right while Pregnant. I really felt the need to share this post because i got some requests from some expectant mums, one of them said she wanted to lose all the weight (while pregnant o) at first, she didn't want to tell me she was pregnant, it was her friend that sat with us, that kept reminding her of her condition because she wasn't showing yet. Lol. The second lady, was just sad that she wasn't expecting to be pregnant for her second so soon, after the first and while she was working on getting her figure back. Well, who are we to ask God questions, it has happened, too late to complain. I totally feel their pain, i know what it feels like to be reminded of how overweight you could get in just 6 months. Most women don't plan it before they get pregnant, but some do. The whole idea here is to do what is best for baby, yet stay fit. Pregnancy is not a curse. Yes, some people have had ugly experiences, but its all good, at the end of the day. I just want to share a few tips on how to stay fit and eat right while pregnant, so as not to gain so much weight and also make it easier for you to lose the baby weight afterwards. I remember all the mistakes i made while pregnant, Lol. It was so bad that i even had a large basin as my food plate. I didn't have time for small plates, i needed to fill up real good.. Hahahaha. Immediately you find out you are pregnant, make a time table of healthy meals you will be eating all through the 9 months. Play around with food but avoid stuff like cheese, semi raw meat etc. Ask your doctor for a full list. You need to stay nourished all through. If you have the time, make your own meals and make sure they are very healthy and fresh. Avoid fast foods, they are loaded with oils and stuff we don't know about. Do not take any slimming teas or shakes or pills while pregnant, they could affect your unborn child. 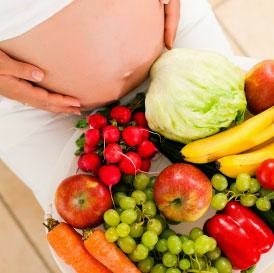 Its always best to eat lots of greens and fruits while pregnant. Make your own juices, smoothies salads etc. Have fun with food. Eating veggies in pregnancy will help relieve constipation, which is pretty common. The tin show me pepper eh!! Eat in moderation, don't eat from a giant bowl always. Eat up 6-8 small meals (plus snacks) through the day, this will help you keep your metabolism going, you don't feel too tired and not store excess fat. Invest in good caffeine free teas. e.h ginger, citrus teas. This will help with morning sickness and calm you a bit. Exercise; I wish i knew this when i was pregnant. Its not a sin to workout while pregnant, in fact its very good (that is if you aren't having a complicated pregnancy). If you cant do much, then walk for 30 mins daily. 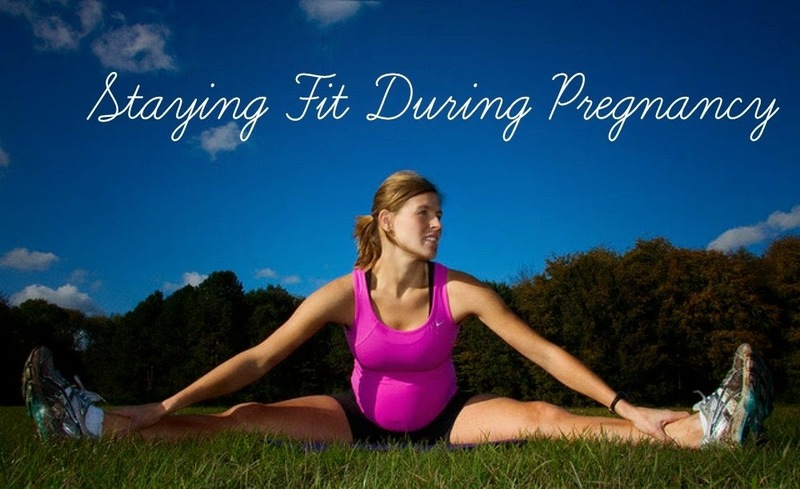 It will help strengthen your pelvis and get you ready for pushing the baby. I even feel it will help speed up labor. Did you read about the lady that completed an 800 meter race while heavily pregnant? Hmmm, it is God that protects o, not man. There are even good prenatal workout dvds, invest in them. Always get enough rest when you can. Pregnant women tend to add weight more when stressed up. Then they end up in the kitchen, eating with vex. Immediately baby arrives, don't relax on your eating habits o, keep eating clean and exercising in moderation till you stop nursing, then try and increase the tempo of your workouts till you get your desired body. That you just gave birth doesn't mean you have to eat all the pounded yam and rice in sight. have mercy on your body. Hahaha! Don't forget your pre-natal vitamins which is a must. You can still eat whatever you feel like when the cravings come, but just be careful. Have an ice cream here and there, a bottle of coke here and there, just don't over-do it. Try and substitute for the really bad cravings, things you know are very very bad for you and the baby. E.g: Instead of having a full large pizza, why not try normal white bread with home made egg sauce, made with less oil and lots of chopped veggies in it. Yumm!! Before i forget, its not what you eat that makes your baby big. Your baby is prone to be big if you are diabetic. After Pregnancy, there are more tips to follow which i have written about in the past Here. By eating right and keeping fit while pregnant, getting your figure back after delivery will be a piece of cake. Again i say, don't be too hard on yourself because you got pregnant when you didn't plan to. That baby is a blessing from God. You will feel better when he/she arrives trust me. It is well. Just take care of yourself while you are at it, in a little while you will be good as new. Take care and God bless. Hahaha my dear na so o. Amen to that. All the best. Yes MissB the name has changed, but the adress is same for now. trying my best to make it look good for you guys to enjoy. Lol. You are right dear, self control is key. Thanks sweet. Our blog is looking beautiful! Cheliz darling keep it up. Hmmm Glow where have you been, u abandoned me yeh? Lol. Thanks sweetie. Wow! 10kg is a milestone o, big congrats!!! I'm so happy for you luv, now let me see who or what will stop you from achieving your goals in life! Ride on babe, its your time to shine. Wooohooooo!!!! !